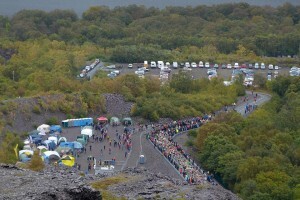 There were numerous Eryri Harriers success stories at the (very wet & windy) OMM UK in the Brecon Beacons last week-end. Chris Near & Tim Higginbottom finished an amazing 5th place in the Elite Class, against a who’s who of international fell-running/adventure racing/orienteering big names. New member Keane Rowlands & his partner, Mark Wright, finished 3rd in the D Class, while Judith Jones & Maggie Oliver were very creditable 74th in the Short Score Class, despite Maggie having fallen (numerous times!!) & sustaining an injury on day 1. Following on from our podium finishes in all 4 mountain marathons we’ve completed this year to date, Adrian Moir & I culminated our successful 2013 season by finishing 1st mixed pair on the Long Score class, & our 23rd overall position, added to our equal first at the Icelandic OMM & 5th overall at OMM France, resulted in our finishing second in the 2013 Combined International OMM Long Score Ranking competition. The prize money just about covered our return flight fares to Reykjavik & Geneva (with a bit left over to buy compeed! )– not a bad way to finish the season!! A number of Eryri members were busy over the weekend representing wales in Italy at the annual Trofeo Vanoni. In the individual women’s race Jackie Lee come 10th (as part of the Snowdon race team) and Bronwen Jenkinson, representing Wales at senior level for the first time came an excellent 19th overall with a third place in the under 23 category. Ffion Price of Cardiff AC came fifth overall, less than a minute behind the current world champion. In the men the Welsh team was spearheaded by the on form Mathew Roberts who stormed past Robbie Simpson of Scotland to the 18th fastest leg. Pete Ryder of Cardiff AC carried on the good work and Eryri’s Nathan Jones brought the team in ninth and leaving the Scots trailing in his wake. Nathan will now concentrate on the cross country season and work towards his first GB vest at this discipline. Eryri’s Rob Samuel made it a hat-trick of wins in the Snowdonia Marathon on Sunday 26th October surprising himself considering he could not even run a few weeks ago after injuring his hamstring running for GB in the World Mountain Running Champs last month, Rob ran a very conservative race early on before overtaking early race leader Gwyn Owen to win in a time of 2:43:50 with Rob Bridges (Manchester TC) 2nd in 2:46:06 and 3rd and making it a hat-trick of Rob’s! Rob Atkin (Bridgend AC) 2:47:44. The wheels came off for Gwyn at the 22mile mark and he did well to finish 5th in 2:50:17. Next in for Eryri was 12th (3rd MV45) John Parkinson in 2:54:15 followed by 19th John Rowley 2:57:15 with Martin Cliffe also making the top 50 in 36th place. 3:08:05. The 1st female finisher in a very close finish was Bangor Universities Sarah Caskey in a time of 3:12:07 ahead of the fast finishing Melanie Staley (Cambridge & Coleridge) 3:12:18 with Eryri’s Andrea Rowlands coming through to finish 3rd (1st FV/35) in a time of 3:15:44. 66th (1st MV/55) Arwel Lewis 3:15:03. 77th. 3:17:04. 84th Dewi Owen 3:18:45. 99th Huw Owen. 3:21:38. 163rd Mick Belshaw. 3:30:07. 169th Iwan Edgar. 3:31:21. 215th Gary Porter-Jones. 3:36:53. 372nd Kate Worthington 3:41:12. 274th Phil Targett. 3:41:16. 288th Emlyn Roberts. 3:41:46. 321st Llion Iwan. 3:44:29. 323rd Gwion Williams. 3:3:44:46. 344th Dilwyn Rowlands. 3:46:35. 363rd Ali Chant. 3:47:50. 377th Brian Wills. 3:48:47. 552nd Tim Watson. 4:00:10.616th Jo Moore. 4:04:30. 837th Eurwyn Edwards. 4:21:05. 840th Tina McDonnell. 4:21:09. 922nd Michelle Fildes 4:26:30. 1005th Rob Barber. 4:33:04. 1053rd Sioned Rowlands. 4:37:11. 1098th David Buse. 4:41:50. 1113th Geraint Jones. 4:43:25. 1117th Alex Fletcher. 4:44:08. 1216th Jodie Brooks. 4:51:52. 1218th Alwyn Williams. 4:53:31. 1230th Rod Rogers. 4:54:53. 1429th Iorwerth Roberts who deserves a special mention having completed all 31 Snowdonia Marathons! 5:20:21 & 1539th Peter Lewis. 6:11:47. A very good day all round for Eryri with Rob the star performer yet again in the well organised, scenic event recently voted one of the best Marathons in the UK. The excellent news is that, after two fixtures, the Masters Men are in first position and the Women in second position, only 2 points behind Wrexham! At St David`s College, Arwel Lewis was 2nd O55, while the scintillating stars were Emyr Davies and Don Williams, 1st and 2nd respectively in the O70! Andrea and Megan were 1st and 3rd in the O35, Jo Moore and Ellie 3rd O40 and O50 respectively and Maggie 2nd O65. UKA British Fell & Hill Relay – it's all over!!! I’m not about to start writing a long report about Sunday’s Relay event, not just because I’m exhausted following it and drowning in emails, but because what else can be said about it that hasn’t already been written elsewhere. The day itself was quite frankly amazing. Amazing team effort, amazing camaraderie, and amazing effort shown by so many people from so many clubs around the UK. There were extraordinary performances by great athletes, including from our own club. Alas, we didn’t quite get on the podium, but it wasn’t for want of trying. Taking part was truly wonderful experience, the crowd and support at the start of Leg 1 was extraordinary. I could try to list the names of everyone I can remember who helped out this event together but it would be too long, especially when you include all who helped on the day itself, however I will only forget someone and offend them so I won’t attempt it. Suffice to say those who contributed know they did, and will have the satisfaction of knowing they helped put on probably the best and biggest Fell Relay that’s ever been. See some links here for photos and reports. UKA British Fell & Hill Relay – it’s all over!!! This second cross country fixture was a scintillating starter to a wonderful weekend of running! After concern about fielding teams due to Relay commitments on the Sunday, it was really heartening to see 11 women and 13 men turning out for the club! The Women were once again led home by Lydia Sharpe (u20), closely followed by Andrea (o35), with Joanne (o40) and Megan (o35) completing the counters. Emyr (o70) had another storming run, finishing as 1st o70, as he did at Treborth. Good running saw Sandra and Ellie, Hayley, Helen and Nina finishing next with Don(o70), Alison and Maggie completing the team. The Womens team were second on the day, taking them from third into an overall second place behind Colwyn Bay! The men continued their excellent start to season with Russell Bentley finishing 1st, Nathan (u20) 2nd and Jordan 5th! The other 3 team counters were Adrian (o40), Matt (o40) who missed the start and Arwel (o55). Gary (o45), Kean (o55), Jeremy (o55), Eurwyn (o550 and Dave (o45) completed the club`s finishers. The Mens team were second on the day but still retain their overall lead by 2 points from Deeside! Very well done to all, especially those who were also in action in the relay the following day! The Veteran team results, aggregate results and the age category results will be posted as soon as available. The age category results from Bangor showed Arwel Lewis 3rd o55, Emlyn Robert 3rd o50 and Emyr Davies a decisive 1st o70 with Don Williams 3rd o70. For the Women, Andrea Rowlands was 2nd o35, Megan Hughes 3rd o35, Ellie Salisbury 2nd o50 and Maggie Oliver 2nd o65. Now for Wrexham on the 23rd November, where we must try to build on our excellent start to the season. Mont Blanc marathon entries are now open. It’s a classic race and fills up quickly. Also has the vertical K, 10K, half and ultra, but the marathon is the best. Jordan Evans overhauled long time leader & club colleague Brendan Rothery in an exciting sprint finish to win the revamped and much tougher Mold 10k on Sunday 13 Oct in a time of 34:57 with Brendan on his heels in 34:58. Despite the 1-2, Eryri missed out on the team prize as they only had 3 club members running, the other being Arwel Lewis who finished 27th overall & 1st vet/55, beating all the vet/50’s in the process in a time. of 40:24. There were 492 finishers in what was Jordan’s best race win to date following his 4 Lakes 30k win 3 weeks ago.